Thomas Fant of Santa Barbara Dance Theater. Santa Barbara Dance Theater celebrates its 40th anniversary season in 2016. Santa Barbara Dance Theater is the longest continually operational contemporary dance company in the Santa Barbara area. Artistic director Christopher Pilafian watching and instructing dancers during a recent Santa Barbara Dance Theater rehearsal. It’s an early rehearsal in the studio and everyone is just getting comfortable, with each other as much as the material: new works, new faces, new season. As the music soars, so do the dancers, their socks squeaking on the floor. They’re practicing Pilafian’s new work, “Strange Attractor,” and it’s slowly coming together. When one dancer has to leave early, Pilafian jumps up to stand in and rehearse lifts with the other partner in the pair. When he sits back down, the whole company claps, a sign of respect and admiration for an intuitive director dedicated to collaboration with his dancers. The work is evolving with every practice, and he and company manager Brooke Melton are still tinkering with transitions between sections, entrances and exits. Barely one month later though, and it’s taken much greater shape. The lighting director is deep into his design process, and the dancers are moving with confidence and rehearsing at just about full throttle. Opening night isn’t far off. Beginning Jan. 20, the company will present five days of performances to ring in, and celebrate, its 40th anniversary season. The show features new works by previous SBDT artistic directors Alice Condodina and Jerry Pearson, as well as Pilafian and Mexican-Canadian choreographer Edgar Zendejas. • “Impenetrable Winter,” by Edgar Zandejas, was created for SBDT as part of “Common Ground,” a co-commission that premiered in 2015 with State Street Ballet and Detroit-based Eisenhower Dance. 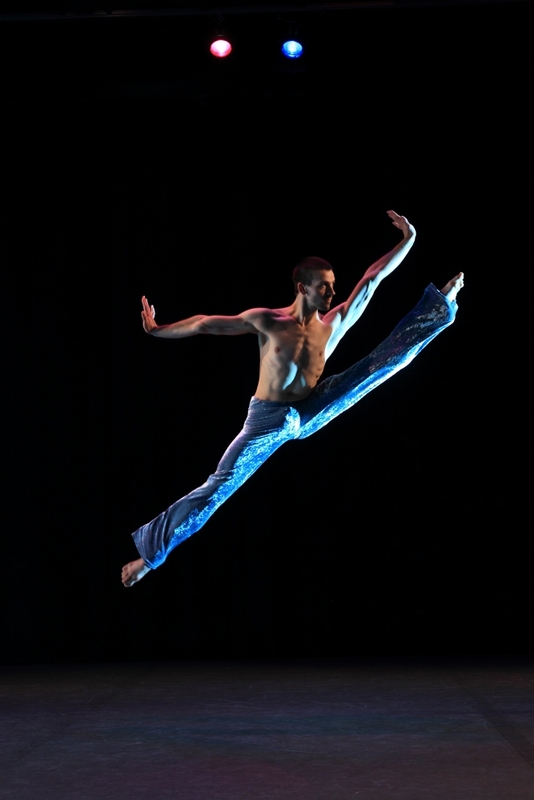 As a professional dance company in residence at a major university, Santa Barbara Dance Theater is unique among collegiate dance programs. In addition to providing a forum for faculty choreographers and dancers as well as guest artists, the company offers undergraduate dance students crucial exposure to professional dance. In that way especially, Pilafian says, it furthers the mission of UCSB’s theater and dance department by inspiring students, enriching their educational experience and giving them a peek into their own potential futures. “SBDT serves as a laboratory for the development and promotion of this art form within an academic environment,” Pilafian said. “It provides a research instrument for faculty and guest artists, inspiration and a model of professionalism for students and a lively, public forum for engagement by our department with the campus and community. “To the best of my knowledge, SBDT is and has been the only professional dance company with resident status at any UC campus,” he added. “Lacking national statistics, but based on conversations with dance administrators across the country, I believe that a resident professional company in any university is a rarity. The history of SBDT is “studded with UCSB alumni,” in Pilafian’s telling, from those who began their careers here to those who came to Santa Barbara after dancing professionally elsewhere. Or both. Current member Tracy Kofford earned a dance degree from UCSB in 1996 and landed at SBDT before moving on to NYU’s Tisch School of the Arts and professional success with several New York City dance companies, including 10 years at Jennifer Muller/The Works (where, incidentally, Pilafian was a founding member and associate artistic director). Kofford is currently the sole UCSB alumnus in the six-member company that also includes Christina Sanchez, Nikki Pfeiffer, Thomas Fant, Carisa Carroll and Daniel Burgueño. That’s up from five members in the previous year and four in the year Pilafian first took over as artistic director. Apprentice Natalia Perea and additional dancer Nicole Powell, invited to perform in one piece, make eight on the roster for the new show. Founded in 1976 as Repertory-West Dance Company, the group was first directed by professor emerita Condodina, who was brought to campus to lead the fledgling company. It was renamed Santa Barbara Dance Theater in 1991 when Pearson, Pilafian’s predecessor, came aboard. It is the longest continually operational contemporary dance company in the Santa Barbara area and a key performing arts organization in the region. With Pilafian at the helm, SBDT works nine or more months each year, giving performances and previews on campus and off. Over the years it has also offered educational outreach and performances throughout California and on international tours. SBDT’s 40th anniversary show runs through Jan. 24 at UCSB’s Hatlen Theater, with performances at 7:30 p.m. Wednesday through Saturday, and at 2 p.m. Sunday. More details and ticket information are available via the Department of Theater and Dance.